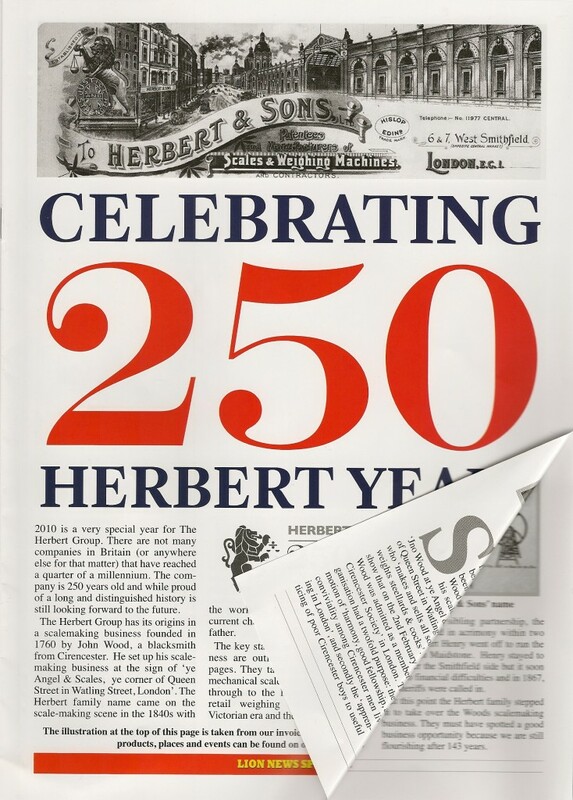 Fitz Herbert was born in 1879 and educated at Merchant Taylors' School, which was at that time in Charterhouse Square, just across Smithfield Market from the Company premises at 6&7 West Smithfield. 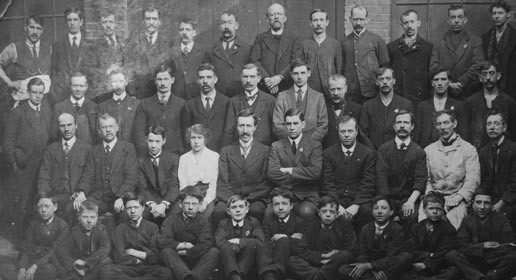 Fitz left school in 1896, and had planned to join his father in the business at the beginning of 1900. However the (Second) Boer War had started in October 1899, and the Government made an appeal for volunteer forces to serve in the campaign. 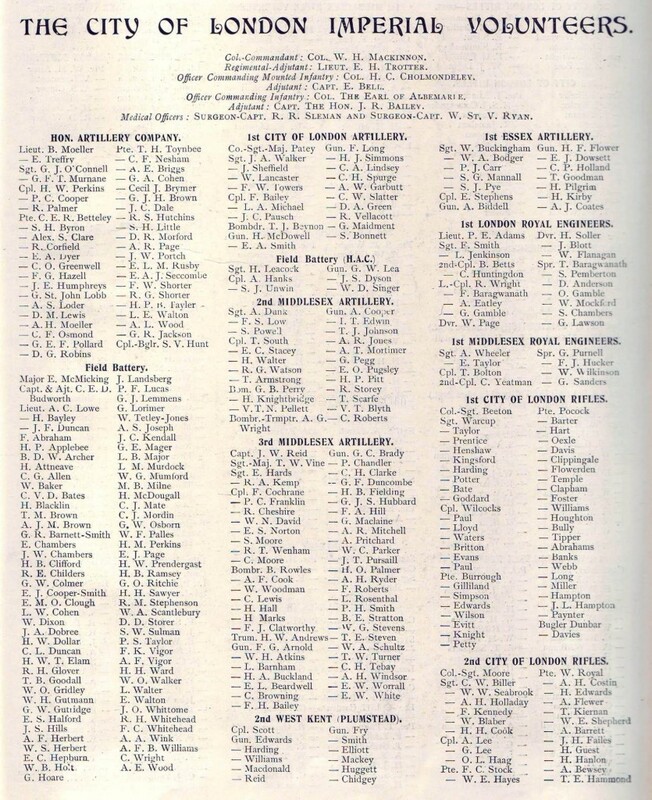 The City of London Imperial Volunteers (CIV) was quickly formed from the London volunteer forces, one of those being the London Rifle Brigade of which Fitz was a member. Fitz embarked for South Africa in January 1900, and saw active service with a Field Battery, a fellow member being Erskine Childers, the author of the ‘Riddle of the Sands’. The battery sailed for home in October 1900, and on arrival Fitz started work in the Company, joining his father George and elder brother (also George) in the Smithfield and St George in the East business. George Snr & George Jnr fell out, and in 1906 the latter left the firm. 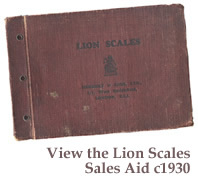 In 1909 Fitz persuaded his father to put the business into a limited company, and around 1910 the company launched the Lion Quick Action Scale, which proved to be a best seller and the lynchpin of the company’s success right up to WWII. Fitz married Alice Winifred Elles in 1909 and they had three children. Fitz took over the company completely about the start of WWI and this photograph taken in 1915 shows him with a staff of 43. The company was also now engaged in war work, mainly shell weighing and equipment for army cookhouses. The immediate aftermath of WWI was a difficult period for the Company, but by the late 1920s trade had improved: a picture on the right shows a 1925 cartoon of Fitz by "Spider". New products such as electric mincers and coffee grinders were introduced from the USA, and the spices and seasonings business started. Fitz was a major contributor to ‘The Retail Meat Trade’ published c1930, being the main author of the chapters on ‘Construction of Retail Premises’. Fitz had an inventive mind, registering 13 UK patents between 1916 and 1944 and 2 French ones on 13th May and 18th May 1949. In 1929 Fitz persuaded an exceptional young man, Leon Bagrit, to leave W&T Avery to join the Company as General Manager. ‘Light on the Lion’ and other well produced modern sales and marketing aids were soon to follow, heavily influenced by him as well as Fitz’s trips to the USA. Fitz was joined by his brother Arthur in 1933, but Leon Bagrit left after a row with Fitz in 1935. Initially, the brothers worked well together and the firm grew considerably, but the events of the war years placed a heavy strain on their relationship. Fitz was divorced, suffered a bad accident in the blackout, and his second son Peter (P.N. Herbert 1914–1944) was shot down on a reconnaissance mission shortly after D-Day, while Arthur’s eldest son Jack was captured in Singapore in 1942 and sent to work on the Burma/Siam railway. This meant that succession was a problem: Fitz’s eldest son Bill (E.F. Herbert 1910–1988) had no interest in the business: he went on to become Cartoon Editor of the Daily Mirror where he devised ‘The Perishers’, a long running cartoon series made famous by the input of Maurice Dodd. So in 1946 Arthur's second son Jim joined the Company, but by then Fitz and Arthur were sometimes not on speaking terms. In 1952, the chairman Sir Edgar Sylvester managed to persuade the warring brothers to retire on the same day, and Fitz died in 1956.